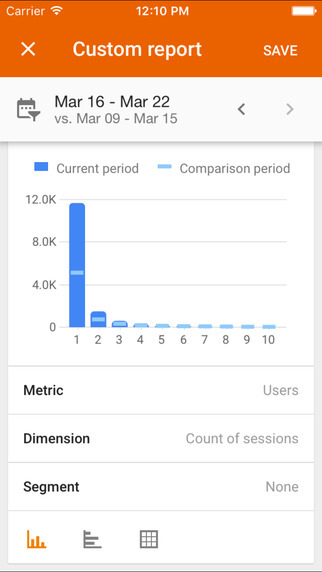 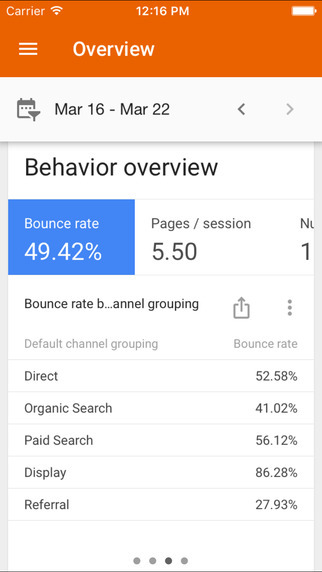 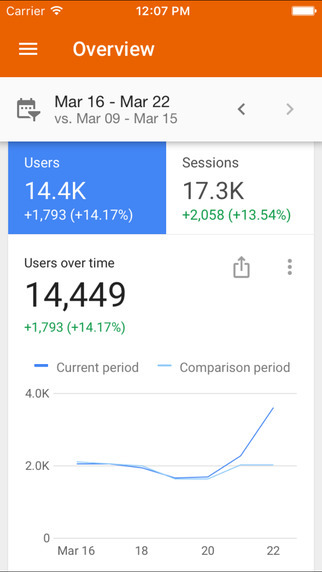 The Google Analytics app has been updated for iOS to version 3.0, and 3.0 comes with many changes. 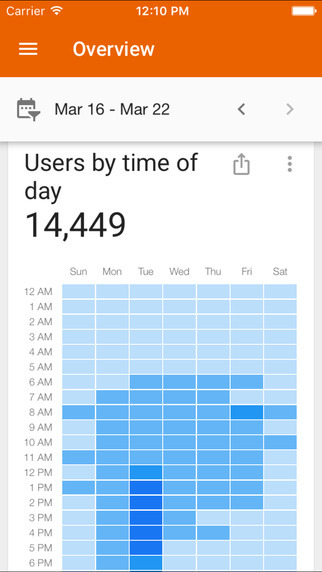 The new version has a brand new look and feel, making it easier to find more data. 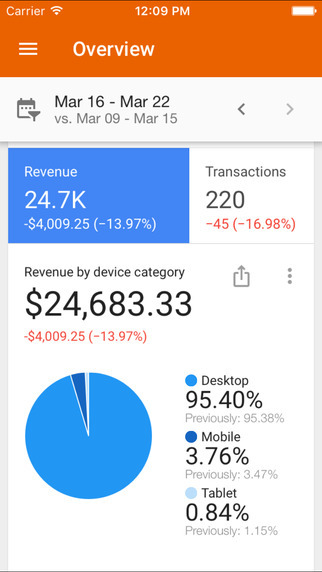 It also added sharing icons all over the place, customized reports, scorecard visualizations, comparison features and more.